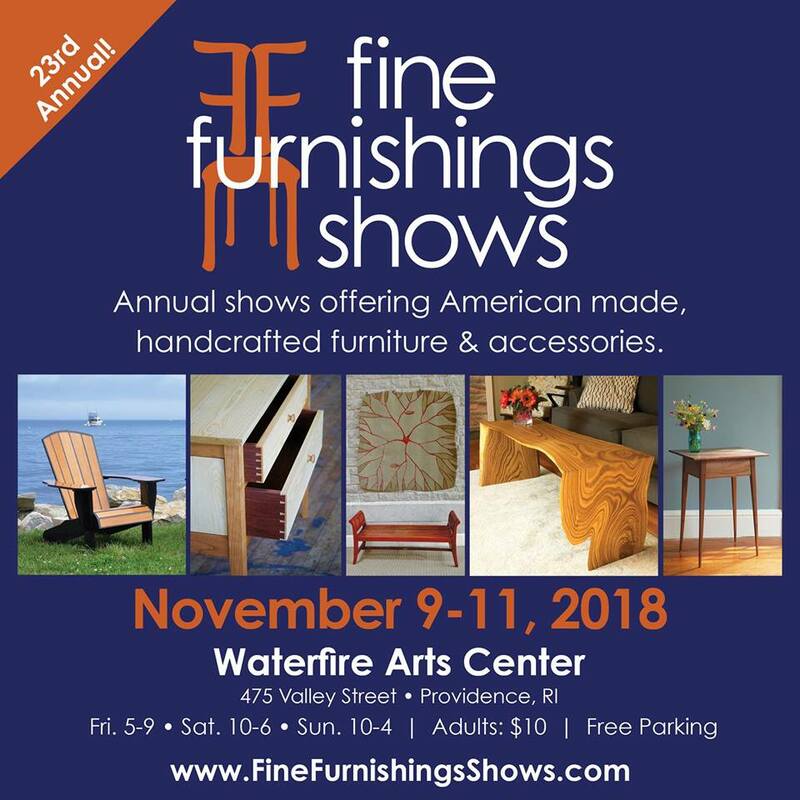 The WaterFire Arts Center hosts the 23rd annual Fine Furnishings Show November 9th-11th. The show features American made, handcrafted furniture and accessories. There will be hundreds of vendors set up! Concession is by Russell Morin Catering and free parking is available. A grand door prize will be raffled off which is a private tour of RISD President’s home filled with furniture, accessories, and art. The show’s hours are Friday 5-9 p.m., Saturday 10 a.m.-6 p.m., and Sunday 10 a.m. – 4 p.m. and admission is $10. For more information visit their Facebook event here.